Medical Improv is an emerging field in which the principles and training techniques of improvisational theater are used to improve cognition, communication, and teamwork in the field of medicine. Medicine, like theater, is both an art form and a skill set. The practice of medicine demands exceptional communicative, cognitive, and interpersonal skills in order to improvise appropriate responses to unpredictable situations while interacting with a wide variety of individuals. Unfortunately, documented shortcomings in medical errors, teamwork, information transfer, and patient satisfaction indicate that there is significant room for improvement in communication skill training for clinicians. Improvisational theater skills have a surprising and substantial overlap with skills required of clinicians. Improv is a genre of performance art grounded in principles of spontaneity, adaptability, collaboration, and skilled listening. Improv actors develop these skills by participating in specialized training methods that have been refined over the last century. “Improv” is not synonymous with “comedy,” but the fundamental principles of improv (spontaneity and honesty) can naturally lead to humor. That’s what makes medical improv “serious play”—the method is fun, but the goals are serious. What turns “improv” into “medical improv” is the careful selection and adaptation of improvisational theater principles and exercises to match medical goals and skills, followed by targeted discussion that ties improv to the medical environment. Improv is performed by actors on stage for the purpose of entertainment; medical improv is performed by clinicians in the workplace for the purpose of patient care. Improvisational theater’s successful training structure could contribute to filling a current curricular deficit in clinician communication skills education. As the field of medical improv develops, its curricula and methods will evolve to address the unique educational needs of individuals in the field of medicine. Katie Watson, JD is an Assistant Professor of Medical Education and Bioethics & Medical Humanities at Feinberg School of Medicine, Northwestern University, where she is an award-winning teacher of bioethics, health law and medical humanities, and a member of the hospital ethics committee. Professor Watson has been studying and performing improv since 1997, and she joined the faculty of Chicago’s Second City Training Center in 2008. In 2002 she integrated her expertise in medicine and improv to create a 10-hour improv course for Feinberg medical students, which she's been teaching as a selective ever since. In 2011 she originated the term "medical improv" in her Academic Medicine article about her work, and in 2013, she taught the nation’s first Medical Improv Train-the-Trainer Workshop. She has presented lectures and workshops on medical improv at venues including the Association of American Medical Colleges (AAMC), Alberta (Canada) Health System Ethics Immersion, University of California Irvine School of Nursing & Department of Theater, Brown University, Walter Reed National Military Medical Center’s Neonatology Fellowship Program, the Society of Teachers of Family Medicine (STFM), the 6th International Conference for Diagnostic Error in Medicine, Indiana University School of Nursing, IU-PUI Plater Institute on the Future of Learning, American Association for the Advancement of Science (AAAS), University of Chicago Pritzker School of Medicine, and the NMH Ethics Committee Retreat. Belinda Fu, MD, is a Clinical Assistant Professor in the Department of Family Medicine at the University of Washington, Residency Faculty at Swedish Family Medicine–First Hill, and founder of The Mayutica Institute, an educational training company. She received her BA at Stanford University, her MD from the University of California, San Francisco, and completed her residency and faculty development fellowship at the University of Washington. 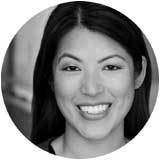 Dr. Fu performs improv as an active ensemble member of Seattle Theatresports™, A Tribe Called Yes, and The Lost Folio. She speaks and teaches about medical improv, physician wellness, and communication skills at regional and national events, and was an opening plenary speaker at the inaugural 2018 American Academy of Family Physicians (AAFP) Physician Health and Well-being Conference. She has presented keynotes and workshops at events for the Association of American Medical Colleges (AAMC), American Academy of Pediatrics (AAP), National Society of Genetic Counselors (NSGC), Association of Surgical Educators (ASE), Society of Teachers in Family Medicine (STFM), Generalists in Medical Education, Cleveland Clinic, University of British Columbia, Providence Center for Health Care Ethics, and the California, Washington, and Uniformed Services Academies of Family Physicians (CAFP, WAFP, USAFP). Dr. Fu co-organized the first and second Annual International Medical Improv Train-the-Trainer Workshops, and created ImprovDoc.org, an educational resource about improvisation in medicine.